In a major upset, Froot Loops were completely bypassed at the 13th Annual Big Tex Awards, announced at a judging ceremony in the Tower Building on August 27. 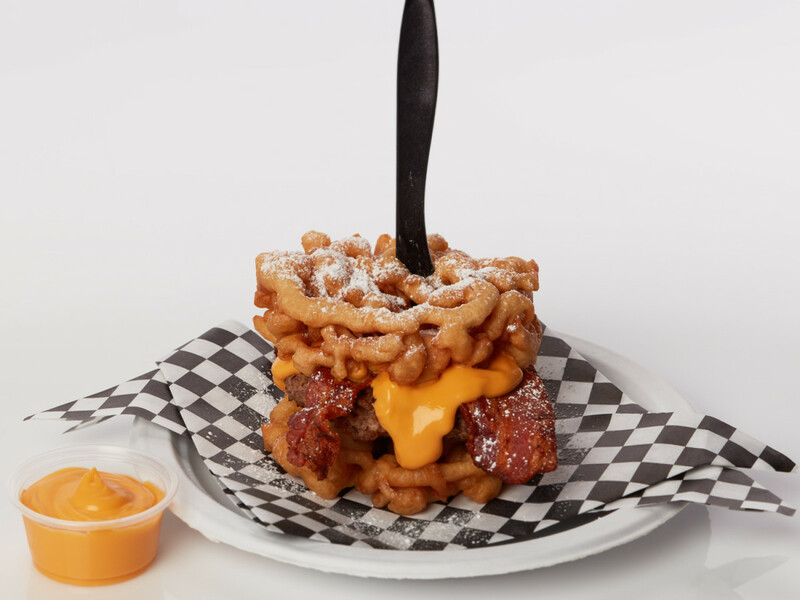 And yet, one dish won two awards: Props to the Funnel Cake Bacon Queso Burger, the big winner, earning trophies both for "Most Creative" and for "Best Taste Savory." Winning for "Best Taste Sweet" was Gulf Coast Fish Bowl, a cocktail with blue punch. The Big Tex Awards, aka the "fried food awards," is the splashy annual event in which concessionaires submit creations they'll serve at the fair that year. The contest has not only become one of the biggest publicity generators for the State Fair, it has lent a modern facade to what was previously a declining, dowdy event. Prior winners have included fried butter and fried Jell-O. This year, Fair organizers increased the total finalists from 8 to 10. Also for the first time, they handed out three awards, instead of two. Previously, it was "Best Taste" and "Most Creative." This year, they broke the Best Taste category into "Sweet" and "Savory."